The G7 governments saying they will phase out fossil fuels by 2100 isn’t closing the barn door after the horse has left. It is declaring an intention to consider closing the barn door after waiting for the horse to disappear over the horizon. It is okay to be feel underwhelmed by this. The G7 governments say they are acting under the impetus of last year’s Intergovernmental Panel on Climate Change report and in anticipation of next December’s Climate Change Conference in Paris. In the conception of the IPCC report, greenhouse-gas emissions should be 40 to 70 percent lower globally in 2050 than in 2010 and “near zero” in 2100 to achieve a goal of holding greenhouse-gas concentrations in the atmosphere to 450 parts per million in 2100. Even that level is a substantial increase above the current level of 404 parts per million, at which the Earth’s climate is already undergoing dramatic changes. The IPCC report, prepared by scientists from around the world but apparently watered down by the world’s governments, promises that mitigating global warming will be virtually cost-free and require no fundamental change to the world’s economic structure. Alas, there are no free lunches — the IPCC report’s insistence that techno-fixes will magically take care of carbon buildup, allowing humanity to continue the path it has been on since the dawn of the Industrial Revolution, is dangerously unrealistic. “If CO2 is allowed to peak at 450-600 parts per million, the results would include persistent decreases in dry-season rainfall that are comparable to the 1930s North American Dust Bowl in zones including southern Europe, northern Africa, southwestern North America, southern Africa and western Australia. 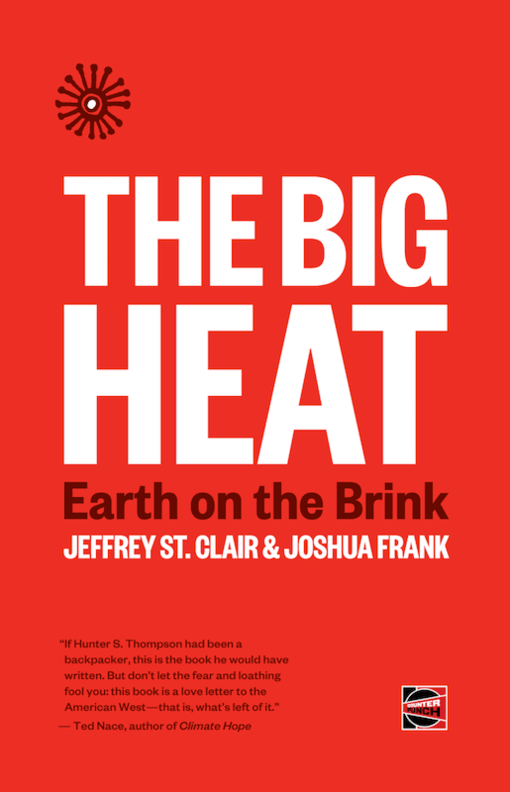 The potential global warming just from the Alberta tar sands is so large that the U.S. environmental scientist James Hansen believes it will be impossible to stop runaway global warming should that oil be burned. The point here isn’t to single out Canada. But its cumulative greenhouse-gas emissions since the dawn of the Industrial Revolution is the ninth highest in the world, a ranking likely to rise if plans of current oil and gas companies come to fruition. So the argument sometimes made that Canada isn’t a significant contributor to global warming because of its small population isn’t true. The United States, not surprisingly, is easily the biggest culprit, having emitted 29 percent of the world’s cumulative greenhouse gases, according to calculations by the World Resources Institute. China ranks second, with nine percent of the world’s cumulative greenhouse-gas emissions, and the top 10 countries account for 72 percent. (Italy is the only G7 country not among the top 10.) But even here, it could be argued that China’s ranking deserves an asterisk. Western multi-national corporations have eagerly transferred production to China, particularly U.S. companies such as Wal-Mart and Apple. So much of those Chinese greenhouses gases are the responsibility of U.S. corporations. A paper led by Glen Peters of the Center for International Climate and Environmental Research in Oslo estimates that, in 2008 alone, the U.S. imported as much as 400 million tons of carbon dioxide in Chinese goods. Can the World Bank and International Monetary Fund realistically be part of the solution to global warming, as the G7 communiqué would have it? No! The World Bank has poured billions of dollars into dams, power plants and other projects that worsen global warming, and shows no sign of altering its indifference to environmental costs. The World Bank and IMF also promote neoliberalism and austerity programs around the world; immiserating people makes them more vulnerable, not less, to the stresses of global warming and pollution. The amount of industrial carbon dioxide emissions thrown into the atmosphere from 1988 to 2014 is equal to all the emissions from 1751 to 1988, according to the Climate Accountability Institute. That continually rising rate of emissions is reflective of the ever more intensive pressures for growth capitalism imposes, and the continual movement of production to the places with the lowest wages and weakest environmental laws imposed by capitalist competition, stretching supply chains ever longer, is itself a contributor to global warming. The G7 communiqué is nothing more than wishful thinking that no real change is necessary. There are no free lunches: The world has to drastically reduce its consumption. As this is an impossibility under capitalism, another world is not only possible, it is necessary in the long run for our descendants to even have a livable world.